The Top Shops In Tarpon Springs – Malls, Boutiques And More! If you’re planning a beach vacation in Tarpon Springs and Tampa Bay, you’d better bring a few extra suitcases along – because there are more souvenir shops, boutique parlors, shopping malls, and other stores than you’ll be able to handle! If you’re not sure where to start when it comes to shopping in Tarpon Springs and Tampa Bay, Florida Sun Vacation Rentals is here to help. Check out this list of some of the best shopping destinations in the area! Westfield Countryside is nestled just a stone’s throw away from Tampa and Tarpon Springs, in Clearwater, FL. This enormous shopping mall features more than a hundred stores, as well as quite a few restaurants and bars. You can stop by your favorite fashion retailers, grab a drink at Bar Louie, and grab a bite to eat at BJ’s Restaurant and Brewhouse. See the mall website for a full directory of shops. International Plaza features more than 200 boutique stores, and dozens of dining and entertainment destinations. Located just outside of Tampa International Airport, you can shop top brands like Apple, Gucci, Burberry, Louis Vuitton, Neiman Marcus, and Tiffany & Co – and so much more! Looking to get a great deal on items from your favorite brands? Take a journey north of Tampa to the Tampa Premium Outlets. This shopping center features outlet stores from top brands such as Adidas, Armani, Calvin Klein, Brooks Brothers, Columbia, Express, and dozens more. Take a drive to St. Petersburg, and you’ll be rewarded with one of the finest beachside shopping experiences in America! Corey Ave. is located at the heart of St. Pete Beach. It features unique art galleries, boutique stores, souvenir shops, and plentiful options for dining and drinking alike! Come on a Sunday, and you’ll experience the Corey Sunday Market, with over 75 vendors selling organic veggies, take-out treats, locally-made crafts and products, and so much more. The Sponge Docks are located near the bay in Tarpon Springs and have long been regarded as a premier shopping destination. Boutique stores abound – selling sea sponges, handcrafted skincare products, unique spices, wine and tea, gifts and souvenirs – and more! The Sponge Docks also feature numerous Greek restaurants and eateries, so you can shop ‘til you drop – then eat until you never want to see another gyro! Looking for a boardwalk shopping experience? Take a journey down towards St. Pete, and visit The Shoppes on Sand Key. This harborside shopping center has a fun, lively atmosphere, and plenty of shops to choose from. 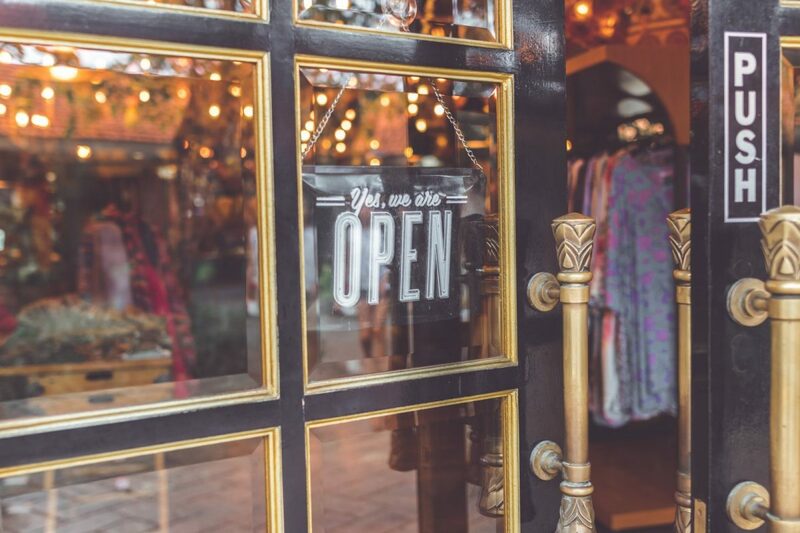 Boutique fashions, beachwear, gift shops, and jewelry stores are among just a few of the shopping options you’ll have at The Shoppes on Sand Key! Plan Your Getaway Now – And Start Shopping! As you can see, there are plenty of shopping opportunities around Tarpon Springs and Tampa. Whether you’re interested in swimsuits and beachwear, high fashion, souvenirs, and gifts, or anything else, you can shop until your suitcase splits at the seams! So don’t wait. If you haven’t already booked your rental with Florida Sun Vacation Rentals, now is the time! Browse our available properties, and make your dream beach vacation a reality!